She’s carrying more than just a secret. Going into this movie I recently realized that the production company behind this film, Screen Gems have been using a profit-generating formula. Every year they release a thriller featuring a cast that is predominantly African-American. It features an unhinged black male who is obsessed with a very attractive black woman and very often; this unhealthy attachment ends up in some form of violence. 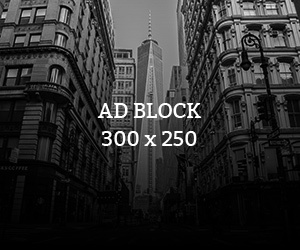 We have seen it with 2013’s Obsessed, which featured Beyonce, Ali Larter and Idris Elba. In 2014 we got No Good deed, which again featured Idris Elba and Taraji P. Henson. Then last year we got The Perfect Guy, which featured Morris Chestnut, Sanaa Lathan and Michael Ealy. Despite how clichéd these movies are the movie still manages to make a profit from their relatively small budget. When The Bough Breaks is the latest movie to come out of their figurative conveyor belt. Early signs are pointing that this endeavour will be no different, the only change this time round is that the unhinged person is actually not a male but a female. When The Bough Breaks follows Young professional and successful couple, John Taylor (Morris Chestnut) a lawyer and Laura Taylor (Regina Hall) a chef. They have reached that stage of their marriage that they are ready to bring a child into the world and start a family. Unfortunately for Laura she is unable to conceive. After they exhaust all their possible solutions to this predicament the idea of surrogacy becomes appealing to them and they take it. The couple pick a young woman called Anna Walsh (Jaz Sinclair) who agrees to become their surrogate mother. Everything is fine and dandy until Anna begins to develop an unhealthy attraction to John as the pregnancy goes further. The Taylors now find themselves walking on thin ice, as they now have to have to appease a lunatic with an extremely dark secret, who is holding their unborn child as collateral. 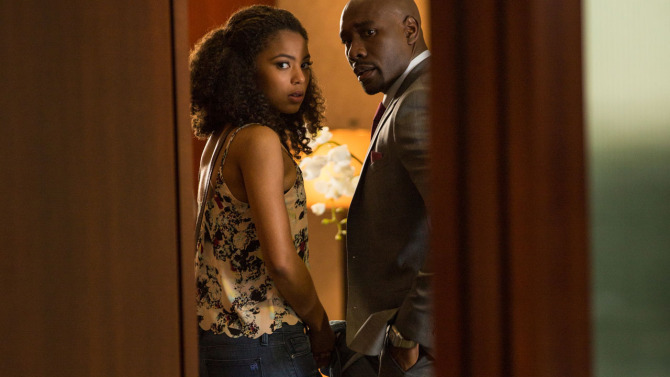 With a cast featuring the likes of the extremely likeable Morris Chestnut (Rosewood), Regina Hall (Scary Movie series) and relatively newcomer Jaz Sinclair (Paper Towns) there is a glimmer of light to make an enjoyable popcorn flick. Lets take a look at the positives and negatives. Anna constantly tries to seduce John. I found myself enjoying the film’s opening minutes. It did a good job of introducing us to the characters and setting up the premise rather well. The movie’s focus on its character development is surprisingly decent. 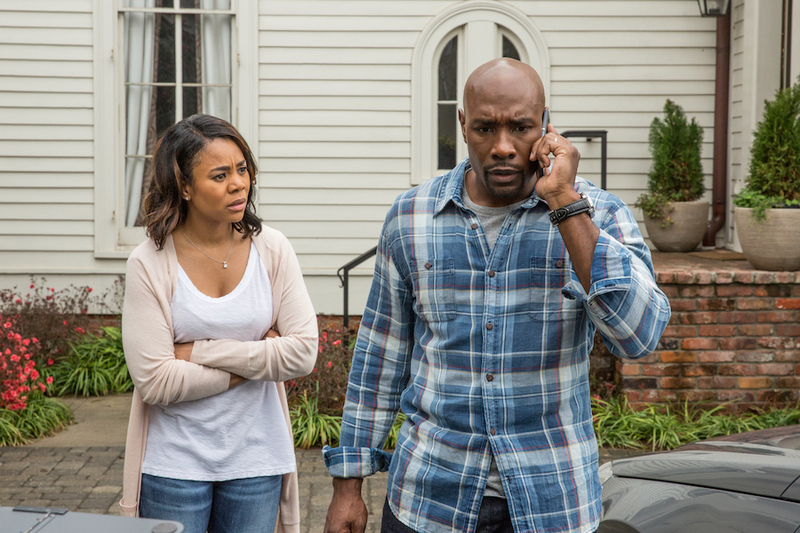 Morris Chestnut and Regina Hall worked well with the material they were given. They managed to successfully instill genuineness into their characters and their questionable actions during the second act of the film. Hall, even though she’s not in the movie as long as the other characters in particular, manages to give the crowd a touching moment when she expresses the emotional pain of her miscarriages that creates the case of feels something that I didn’t think the movie was capable of. The film was successful when it increased its suspense in the sequences that required violence and fear. They managed to get one or two shocks out of the setups however the end result is rather generic. Anna is messing with the happy couple. Lets get this straight, if you have seen Fatal Attraction then you have pretty much seen this movie. The film is unoriginal as the plot is extremely clichéd and you can easily predict what is going to happen so a lot of the suspense is lost in the process. There are some dodgy performances in the film. Lets start with Theo Rossi (Sons of Anarchy) who play’s Anna’s fiancé. This abusive and creepy boyfriend trope has been done to death and his performance is very cartoony as he always looking at people with his eye’s wide open and delivers very hammy dialogue. Romany Malco (Think like a Man) who plays John’s rival in his law firm is only there to look good in a suit and give him evil looks. He doesn’t add anything to the plot and could have easily added a bit of comic relief in a film that I felt sometimes needed it giving his comedic capabilities. Michael K. Williams (The Wire) who plays the private investigator and John’s friend is ultimately wasted as he is only there to provide the “oh! !” moment on the increasingly problematic Anna. A huge problem I have with this movie is that the stakes are not high enough. Anna’s attempt to seduce John doesn’t really create any serious tension as the movie never creates doubt about John’s loyalty to Laura. Now if the movie showed that John and Laura’s marriage was on the rocks and they were doing as much as they can to save it then it would have been a completely different story. The only reason Anna’s seduction attempts get bolder is because Laura goes on a convenient business trip, which puts her out of the picture for a while. While I enjoyed certain parts of Jaz Sinclair’s performance as Anna, I feel that her character is not consistent enough. Her shift from possibly innocent girl to a cold, calculating and obsessed psycho is a little plausible however the part that really doesn’t mesh is the fact that she is also being manipulated by her abusive fiancée. This makes her character a mess and I don’t mean it in an endearing way. Will he give in ? When The Bough Breaks is not a terrible film, but it is an extremely clichéd psychological-thriller with its saving grace being its likable leads. It really has no place in the theatres. This would have been better as a made for TV movie and its probably best to watch this on the small screen.